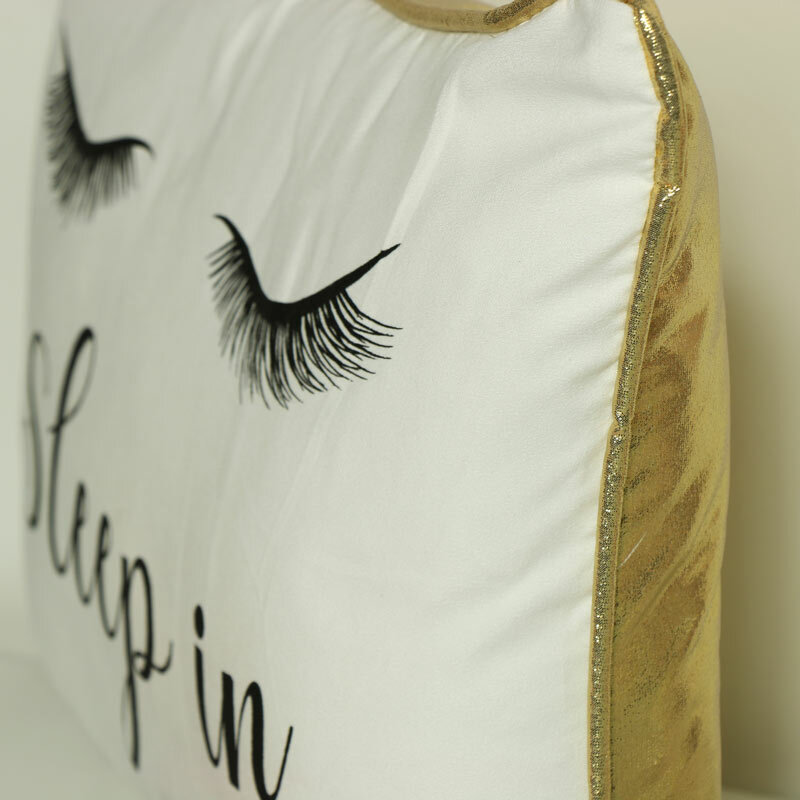 Wonderfully glam scatter cushion in white & gold. Ideal for luxe living home decor. Perfect soft furnishings for those home comforts. White fabric front and shiny gold back for a girly boudoir style bedroom. Decorated with eyelash print on the front. A great addition to our growing range of soft furnihings with a selection of cushions, rugs and throws available. 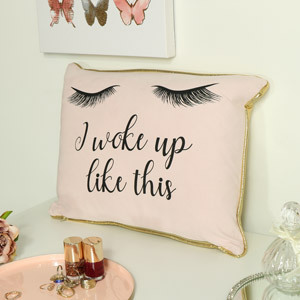 Wonderfully glam scatter cushion in white & gold. Ideal for luxe living home decor. Perfect soft furnishings for those home comforts. White fabric front and shiny gold back for a girly boudoir style bedroom. 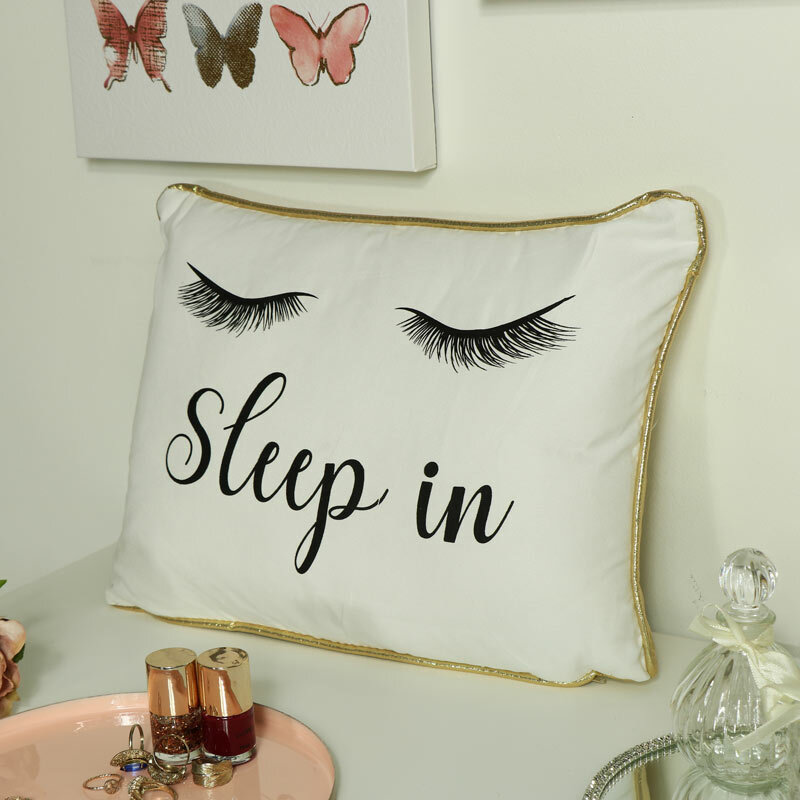 Decorated with eyelash print on the front. A great addition to our growing range of soft furnihings with a selection of cushions, rugs and throws available.